Jeu pour Halloween-Espagnol Tengo, ¿Quién tiene? Il s'agit d'une chasse au trésor version Halloween ! Fichier comprenant 10 feuilles de 10 bonbons de.. This pack of activities about Christmas contains: - An ice breaker activity - A reading with exerc..
Plusieurs activités d'Halloween à faire seul ou en groupe sous forme de rallye.&nb.. 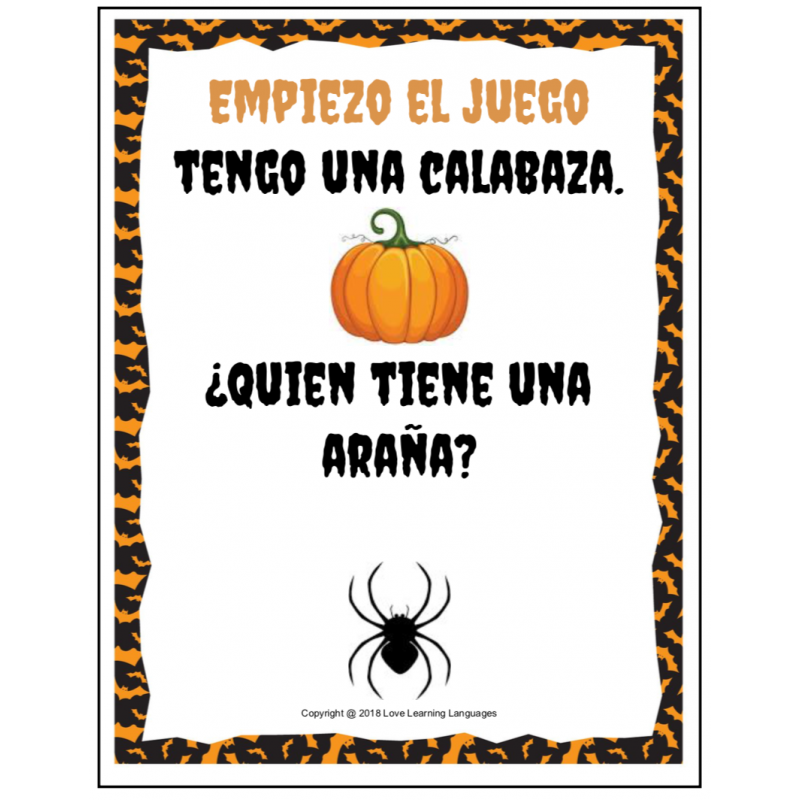 This Spanish Halloween game includes 24 cards. Depending on class size you could either give each student more than one card or have them play with a partner. I recommend printing out and laminating these cards if possible so that you can use them over and over again. Here's how this game works. Once each student has a card (or cards), the one who has the card that says Empiezo el juego begins the game. He says, for example, Empiezo el juego. Tengo una calabaza. 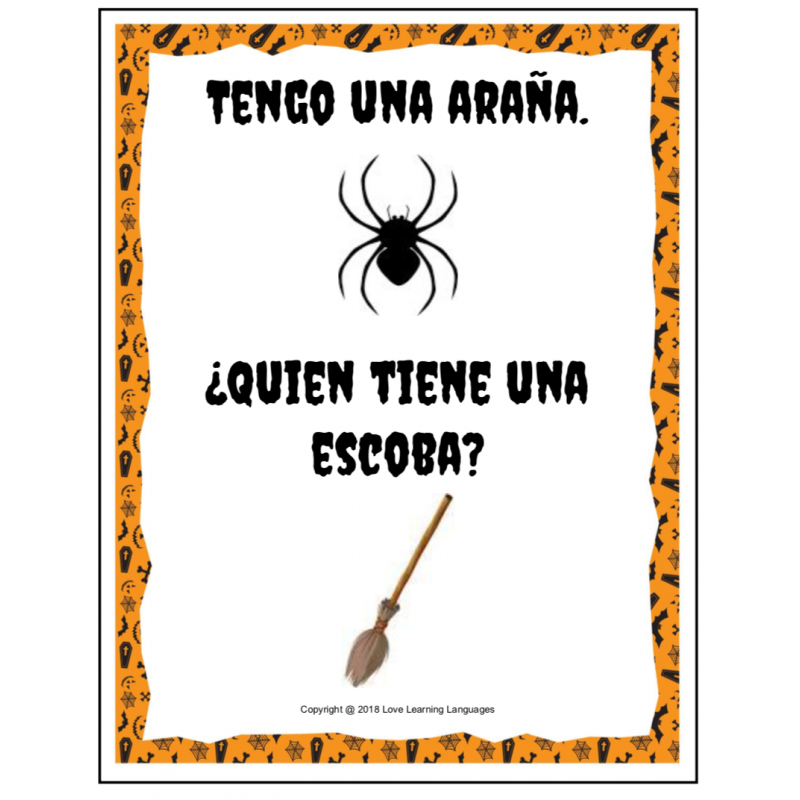 ¿Quien tiene una araña? The person who has the card with a spider on it says, Tengo una araña. 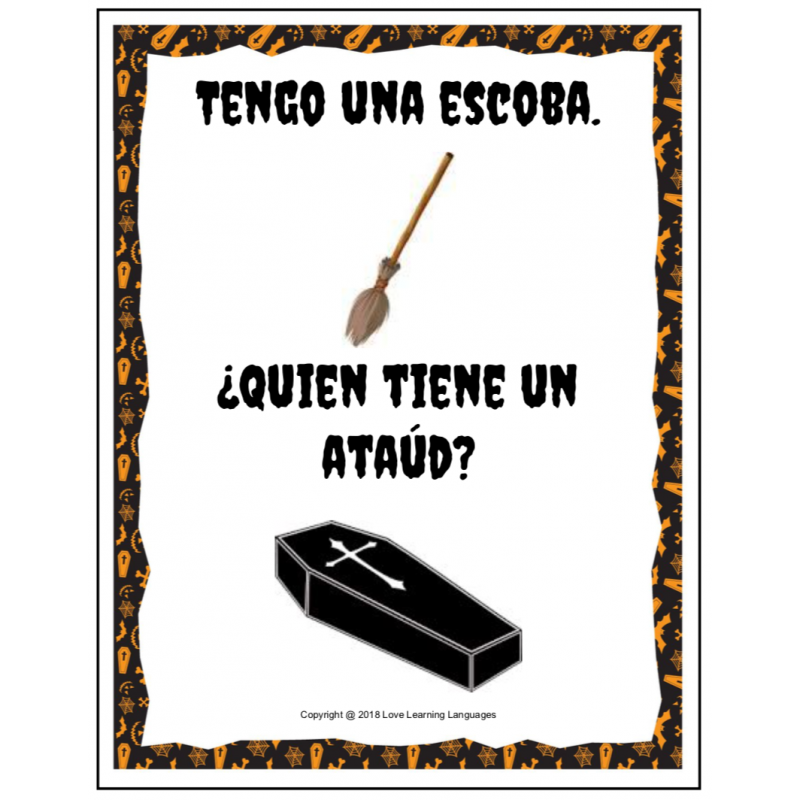 ¿Quien tiene una escoba? And so the game goes on until the last card is called and that student's card will say, El juego ha terminado. 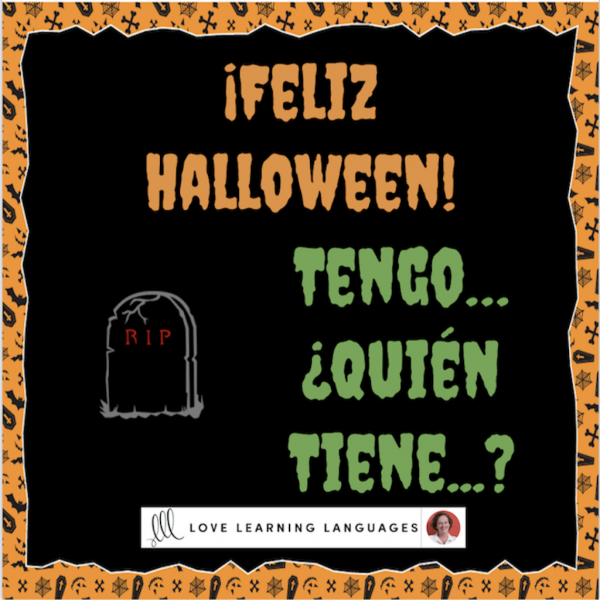 ¡Feliz Halloween! Another idea is to prepare two sets of cards, divide your class into two groups and let each group have a go to see which team can get through the entire deck of cards the fastest. It's a lot of fun, and though you can play with younger students the older ones love this game just as much.